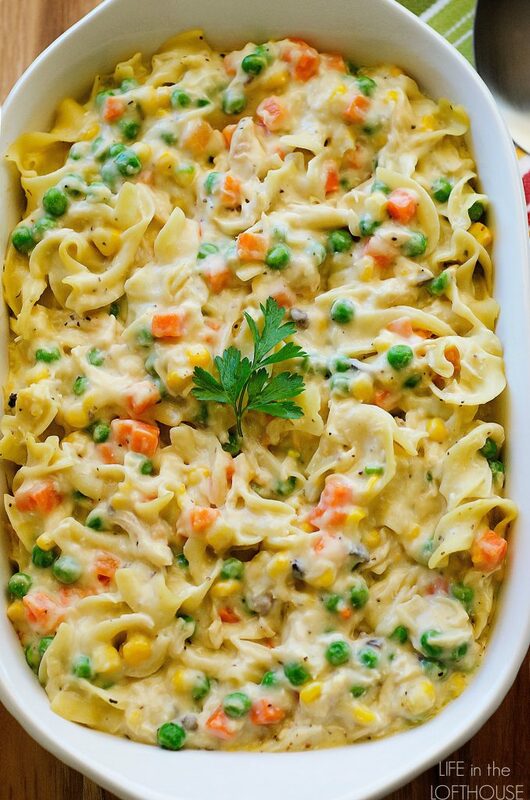 Chicken Noodle Casserole is filled with chicken, veggies and noodles- just like the famous chicken noodle soup. This comforting dish is a family favorite for dinner! 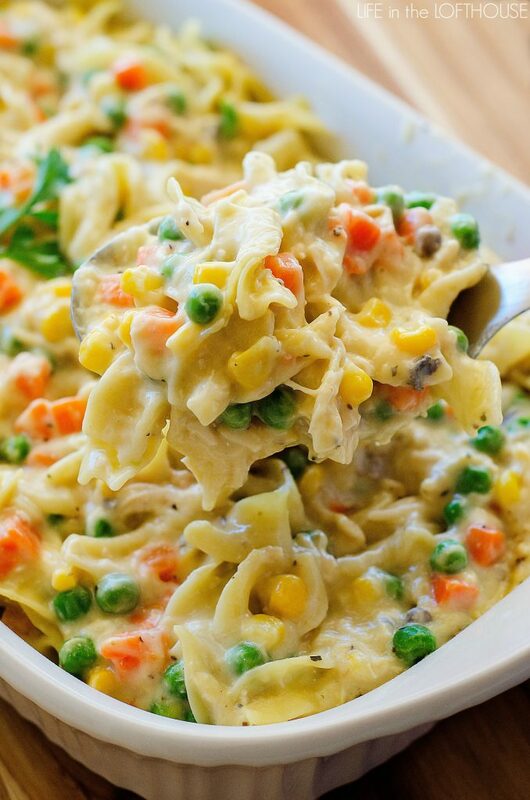 This Chicken Noodle Casserole has all the elements of the classic, comforting soup and more! It is positively perfect to serve on a cold winter’s night or whenever you’re in need of some yummy comfort food without a lot of fuss. Because this recipe calls for pre-cooked chicken make sure to plan ahead. 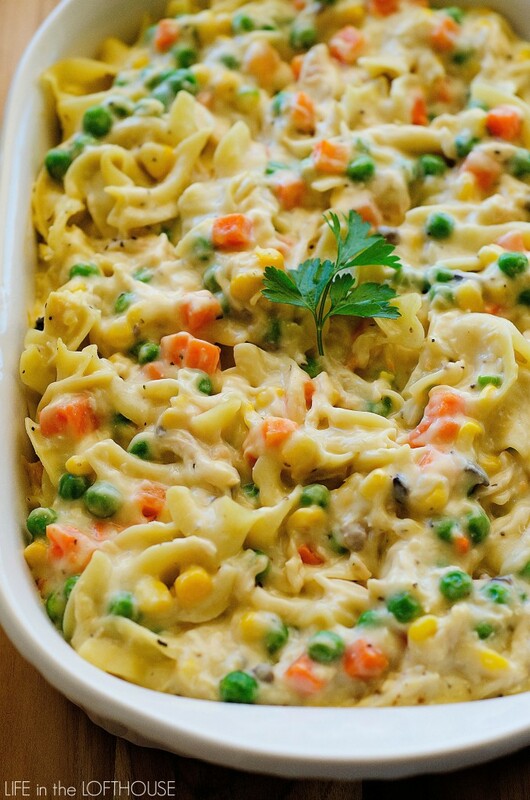 A rotisserie chicken works wonders in this chicken noodle casserole recipe! The prep time is only about 5 minutes, but tastes like you spent hours in the kitchen. It is really so good! My family loves this meal. This recipe just gives me one more reason as to why I love casseroles. 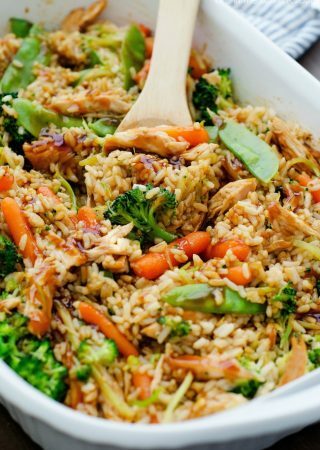 They’re easy to make, totally delicious, and the leftovers the next day taste even better! This comforting and delicious casserole has all the elements of the classic soup and more. 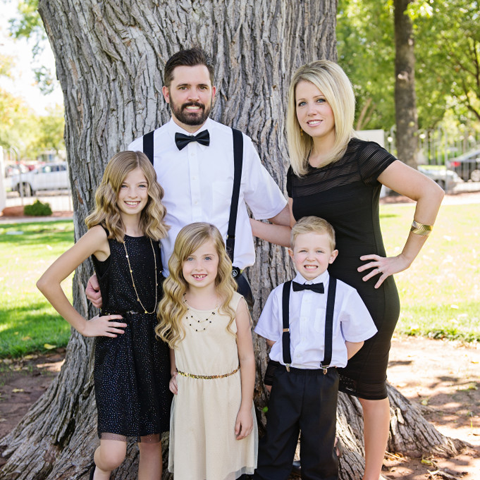 This is a family-favorite! 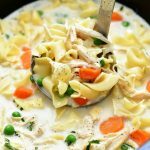 What can I use instead of cream of chicken soup and mushroom? I just can’t stand the flavor. What’s something I can use from scratch? Thank you in advance. Mix sour cream, sliced white mushrooms and chicken broth together in a small bowl. Use as a cream of mushroom soup substitution. I do that literally all of the time because my son is allergic to milk. I use the dairy free sour cream. I was thinking about making a sauce like I would use for a chicken pot pie. I would think heavy cream and real mushrooms. I myself refuse to cook with canned soup. I have a pin on my “Food I Love” board that shows alternatives to every soup. I, too, am looking for alternatives to “Cream of ” soups! Ingredients are questionable. frankly, I’m surprised there aren’t healthier options. 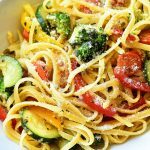 How do I find your alternative recipes? You can use a simple white sauce. Making this tonight! I was confused by the 2 cups of uncooked noodles because that’s such a small amount… I upped to three cups, and it seems to be about 2 cups of cooked… Is that what you meant? Also, at 30 minutes, my casserole was still cold, but the veggies were still frozen when I put it in the oven – were they supposed to be thawed first? Made this tonight and it turned out pretty good. I did do some substitutions. Instead of cream of mushroom soup, I used cream of celery. Fresh chopped onion instead of minced. I also used frozen mixed veggies ( I boiled them while the noodles were cooking just in case). I am saving this to make however I will use a chicken bouillon infused cauliflower sauce. I can’t imagine using tinned soups instead of scratch sauces. Too much salt and preservatives. Just wondering. Do I add the vegetables frozen or thaw them. Never mind. I just saw you’ve already answered this question. Thanks! Can you add biscuits to the top and make a pot pie casserole? How would this affect cook time ? Do you mix soup with water or keep concentrated? Mmmm…I made this tonight! So delicious! I did change one thing. After reading some of you didn’t get your frozen veggies dethaw renin the 30 min time frame, I decided to use canned. I also cooked two chicken breasts immediately before for 30 mins light kosher salt. I am not a fan of cream of mushroom soup but you could not taste it like you think. Was absolutely amazing! What temperature did you cook the chicken at? And all you added was a little salt and then baked them? Thanks!! Do you think this would work as a freeze ahead meal? My husband works out in the cold, and today is very rainy and nasty out…so I am very excited to make this for him tonight! What kind of side dish would go well with this? I just like to make a green salad to eat with this! so will make this tonight. This recipe sounds so good. I can’t have canned cream soups allergic to msg how wouldd I substitute the soup? And would this make a good freeze meal? MSG gives me migraines. Canned soup or broth is one of the worst offenders. I always make gravy to substitute. My son is anaphylactic to peas. Can a can of carrots be substituted? Pinterest WIN! This dish is awesome. My family (of picky eaters) ate it up! Oh my gosh! I made this about a month ago we loved it!!! This dish is soooo good! I’m making it for the second time now! I just made it and put cheese on top. Can’t wait to see how it turns out! I also added a few more noodles. Can you freeze and reheat this? There’s only 2 of us in our household and I wouldn’t want to waste it.. if not what is the right amount of ingredients for 2 people or should I just half the amount? Making this for the first time. It’s in the oven right now and smells soo good! Can’t wait to try it! Love the ease of this recipe! I used my own homemade cream soup and threw some Fried Fried Onions on at the end. The cream of mushroom and cream of chicken is the condensed soup, right? Or should I add the water as it requires to make the soup? Can I put this in the crock pot? Our stove is on the fritz! This looks yum. Does it work as a freezer meal? If so, how would you do it? Freeze after mixing all ingredients but don’t bake? And then thaw and bake as usual? Thanks! I am excited to make this recipe! When you say Italian seasoning, do you mean the spice blend (I don’t know how else to describe it) or the Italian dressing packet? I’ve had recipes that call these the same thing, and now I never know which one is meant. Thank you!!! After a few Pinterest recipe fails, my family makes the “Hope it’s not from Pinterest” comments whenever I try something new. This one turned out great and everyone liked it, even my picky 10 year old daughter. The fact that the ingredients were not expensive was a win as well. I was thinking of a topping to add for crunchy factor so if anyone has one I am glad to take suggestions. Thanks for an easy one. You could add crushed cracker with melted butter to the top. I’ve done this with other cessroles. That’s so funny. My family says the same thing. A box of dressing make according to directions then put on top then bake as directed in recipe for casserole. Or use panko bread crumbs with a little melted butter mixed in spread on top and bake or you can do the same thing with ritz or regular crackers. Hope this helps. Search Pinterest for making homemade cream of chicken, celery or mushroom soups. Delicious! Use them instead of store bought. I have a very picky eater and she ate two helpings of this. The only thing I would change is not adding salt. I wasn’t thinking when I did so about the salt already contained in the soup and on the chicken (I used a rotisserie). Otherwise, this was great and I’m glad to have another cheap, easy dinner to add to my family’s rotation. Made this recipe last night and my family absolutely loved it.Used fresh,minced,sauteed onions instead of dry because i didn’t have any dry. Also, took way more than 30 minutes to cook the frozen veggies in the casserole. Per my family this is a keeper! I made this today earlier in the day and about half an hour before putting it in the oven when we decided to go to our local pancake supper. Can I leave it in the fridge and bake it tomorrow or do suggest putting it in the freezer and if so for how long should I bake it? Hello!!! Can’t wait to make this!! Would it work well in a crock pot also?? Just do everything the same as in a casserole dish? After reading all the reviews, I decided to give this one a try and it did not disappoint! The only thing I did differently than the recipe was pre-steam my veggies. This casserole was SO EASY and super delicious. Will make it again. I finally made this after pinning it a few months back. I got a little discouraged at first bc it was so “hard” mixing the frozen veggies but still continued. And it was amazing!!! I never ask my husband if he liked it, I always know if he gets a second helping, and he did!!! Thanks for the recipe! I made this the other day. It was good but I thought it was a little bland, and I’m not someone who likes spicy food. Maybe I need to add more onion and Italian seasoning. What kind of egg noodles did you use ( the large, medium or small)? Thank you so much. Excited to try this. Made this and although it was good but bland. Might try french fried onions on top. I see that the question was asked about how this casserole would freeze but I did not see an answer. 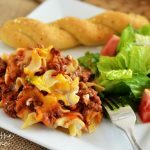 I have never frozen a casserole with cooked noodles in it and would like to do that with this casserole in order to keep on hand for someone who could use a meal. I made this tonight. Was excellent!!!! Although, I did cook it with the frozen vegetables and had to add an additional 15 minutes (with an oven that is only two yrs. old), so be careful if hosting a group and your oven. I also doubled the seasonings (garlic, onion, pepper and italian) (did not add any salt due to the soups)). I myself and my family thought it was perfectly flavored. I have half a pan left now and am curious how you reheat it, as everyone wants seconds tomorrow? Does anyone have an recommendations? I used two cans of chicken breast like from Costco, drain the juice and in place of the rotisserie chicken (you don’t have to mess with the bones) so simple and it’s really a lot easier. This is a great way to stretch a roaster chicken. I cook for my wife and I and day one was roasted chicken and all the trimmings, day two was the same. left overs went into the casserole and will last another three meals. This was so good!! My husband and I liked it very much. Thank you. This was delicious! I ended up using 2 cans of cream of chicken with herbs because that’s what I had on hand. I also used a 8.5oz can each of corn and mixed peas & carrots instead of frozen veggies (I’m not a fan of the texture of frozen veggies) I skipped the Italian seasoning. My 11yr old son ate this up and my 1yr twin nephews enjoyed it too! This would be great on some biscuits, going to do that next time. This recipe looks very yummy. Made this tonight and it was a hit. Used cream of celery instead of mushroom… and it tastes great! Kids loved it. Using the rotisserie chicken was a great idea and time saver! This recipe is so good. The whole family loved it, and I might have to make it again soon. I added (per my dad’s suggestion) french fried onions on top for the last couple of minutes in the oven and it gave the dish a nice crunch. All the flavors went really good with each other. Side note: I use a slightly tweaked version of your chicken salad recipe and I absolutely love it! One batch gives me lunch for the whole week! Again, simple ingredients and recipes may make a good cook out of me yet! Thank you! I made this today but before putting in the oven I added a layer of cheese on top it turned out amazing and cooked 3 chicken breasts. Will make it again it was a hit here at home . Just made this and it was delicious. Thanks! GREAT RECIPE !! I made this today for Sunday Supper and it was delicious! Served it with Cornbread, Deviled Eggs and Fresh Fruit. My family liked it and it will be a”Go To ” recipe in our house for sure. Thanks for the great fast recipes. Tried this tonight and it is GREAT! We loved it. I plan on doubling it and taking it to our next potluck. My veggies were not done either so I stirred it and cooked it a little longer – GREAT! It was so easy and us delicious! Thank you so much for sharing. 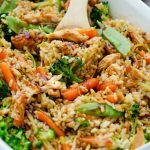 Could you use tuna instead of chicken in this recipe? The second time I made this I had guests who were allergic to milk and mushrooms. I substituted chicken broth for the milk and used another cam of cream of chicken in place of the cream of mushroom. I also cut out the butter completely. While I noticed a slight difference on taste because I had it before, it still tasted amazing. Love how easy it is to make. 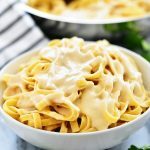 Definitely one of my go to comfort food recipes! I love this dish! We have it at least once a week! I hate anything mushroom but with this recipe you can hardly taste it! Made this tonight. Doubled the recipe to make 9 small round tins for freezer meals. Basically the tins are enough for individual servings. My husband and I made one for each of us. Definitely a good solid meal. If you are looking for freezer recipes, this is a solid one and i’d recommend making a double batch. A double batch would make enough for a family of 4 twice. No tweaks needed to the recipe like other freezer meals I’ve tried. Exactly how she wrote it is exactly how it should be made. I changed cream of mushroom for cream of bacon!! Mmmmmmmm so good! The kids love it! !